Livguard Zing Xtra LGMX HH 38B20-P R automotive battery is designed for the extra performance of your car, in every condition. The specialized battery is equipped with American technology that meets the performance, reliability and stringent safety demands of new generation of cars. 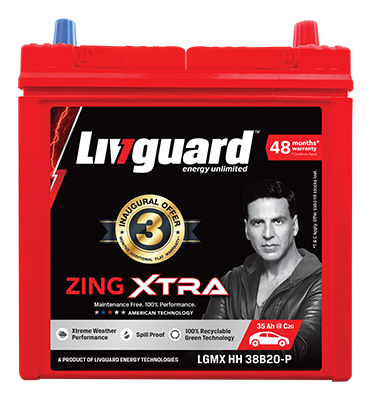 Livguard Zing Xtra LGMX HH 38B20-P L automotive battery is designed for the extra performance of your car, in every condition. The specialized battery is equipped with American technology that meets the performance, reliability and stringent safety demands of new generation of cars.